What does it mean if your Star Sign is Sagittarius? → Click here to read your Sagittarius horoscope! Upside: Sagittarians are highly intelligent and love to be around intelligent people. They enjoy learning new things, traveling to new places, and experiencing unique adventures. Creativity is at the core of who they are and Sagittarians are often creating and recreating their living situations, work situations, and human relationships. Sagittarians are spiritually inclined and are among the types that would travel to the Himalayas to commune with the monks, or take the book, Eat, Pray, Love and go to each spot mentioned in its pages to seek their own enlightenment. Downside: Confining a Sagittarian and not allowing for ample space to roam will make this sign rude, and uncooperative. Sagittarians often come up with unrealistic, big plans, but lack the ability to follow through with them. This isn’t because they aren’t capable, but rather they can become sidetracked chasing another avenue of adventure or thought. 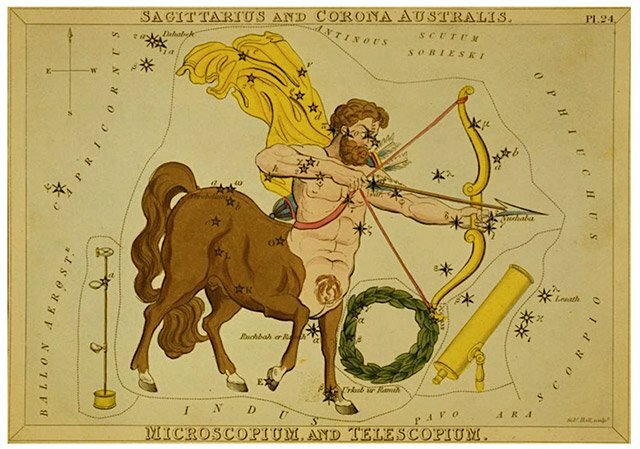 Sagittarians are about the bigger picture and details often bog them down and bore them. Sagittarius is a fire sign, like Aries and Leo.